We made a few Halloween snacks out of fruit and wanted to share them with all of you! 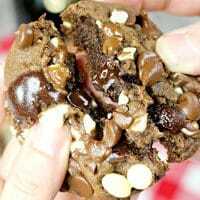 All of these are so easy and make great after school snacks! 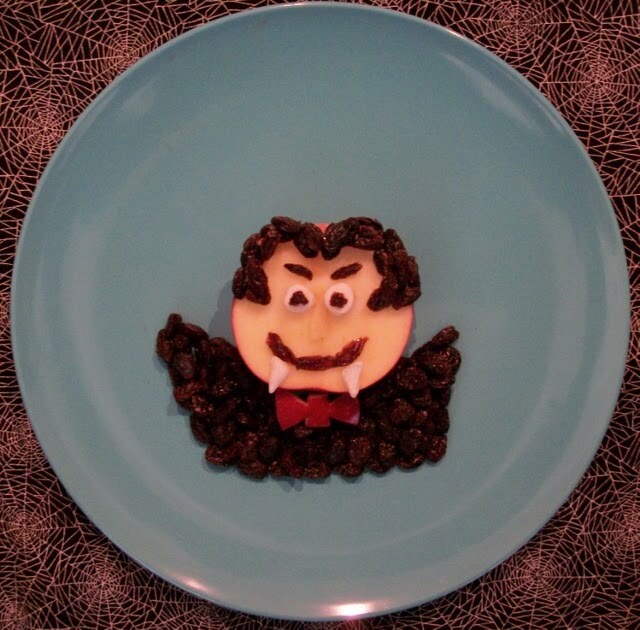 This is our Dracula made with 1 red apple, a hand full of raisins, peanut butter, & 2 mini marshmallows. We cut the apple almost in half…just enough to where the seeds would not show. Make the hair with raisins and attach them with peanut butter. Cut a marshmallow in half for the eyes. Cut a couple of raisins in half to make the eyes, eye brows, and mouth. Cut the other marshmallow in half…then cut that half in another half to make the fangs. Pile on raisins for the cape and we cut out a bow tie with some of the apple skin. This one was a big hit with the kids!!! 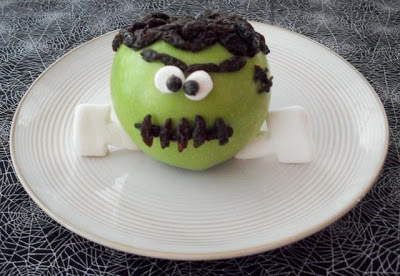 This is our Frankenstein Apple. We made this using 1 green apple, a hand full of raisins, 1 mini marshmallow, and 2 square marshmallows. We cut the raisins in half on this one to make the hair. No need for peanut butter…it will stick. Cut the mini marshmallow in half for the eyes and press on with the sticky side. Cut 1 raisin in half and press on the marshmallow. Make the face details with the cut raisins. Cut the electrodes out of the square marshmallows and just set them on the sides. 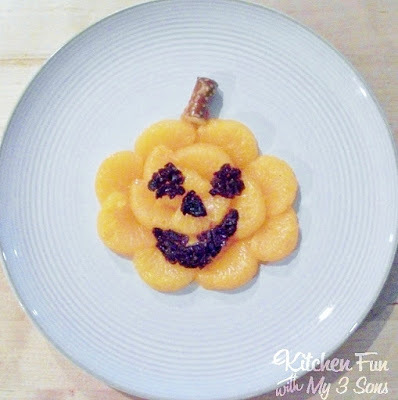 This is a fun Pumpkin Orange snack that we made for my 1 year old. We used manderine oranges, chopped up raisins, and a tip of a large pretzel stick. We arranged our oranges on a plate into a pumpkin shape. 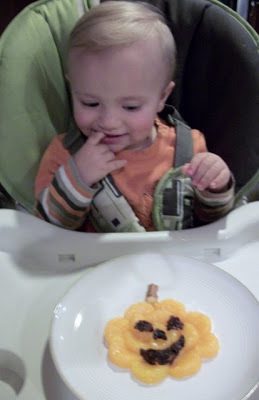 We chopped up raisins (to prevent choking) and shaped the pumpkin eyes and mouth. He usually dives right in, but had fun playing with it and poking at it a bit before he gobbled it up! 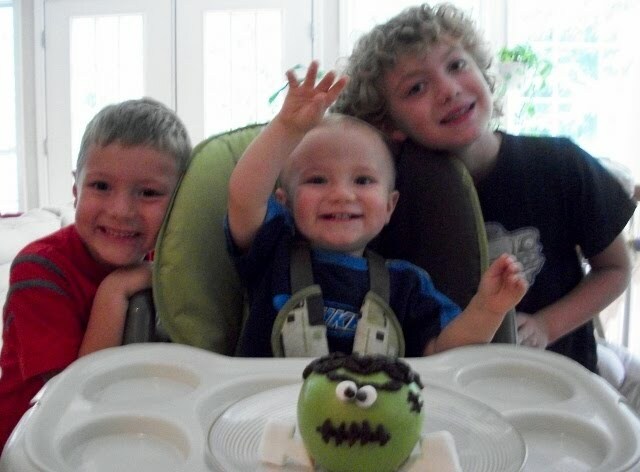 We hope that you like our spooky fun fruit!!! « Previous PostGhostly Pita Pizza! 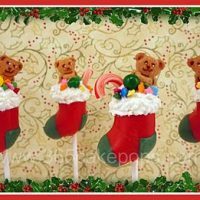 Next Post » Spooky Marshmallow Pops! SUPER CUTE! both of them. I think I like the apple vampire the most! Oh my gosh! 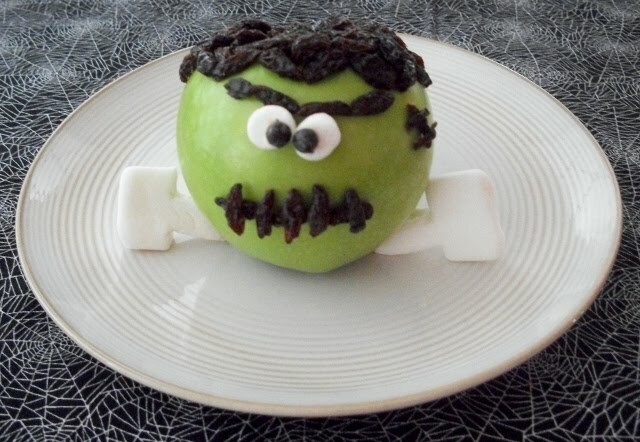 I love the Frankenstein apple! Such a cute idea. I LOVE THOSE!!!!! Such great ideas!!! 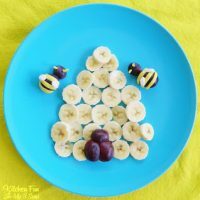 These are super cute snack ideas, so creative! How fun for your boys!